We are built on the principles of compassion, professionalism and reliability where customer satisfaction is the driver for all decisions. Our mission is to provide caring, reliable transportation at an unparalleled service level using vehicles maintained at the highest safety standards. The company values below reflect the integrity with which we operate, and are indicative of how we push ourselves each day to find innovative ways of moving forward. To identify with our customers and partners to understand their feelings, thoughts and attitude. To assess accurate times, distance and cost for every trip with each customer. To address customers, partners and each other with the highest level of respect. To conduct business and communicate using the latest technology applied in inventive ways. It all started with a few back porch brainstorms and a long trip driven by determination to purchase the first vehicle. 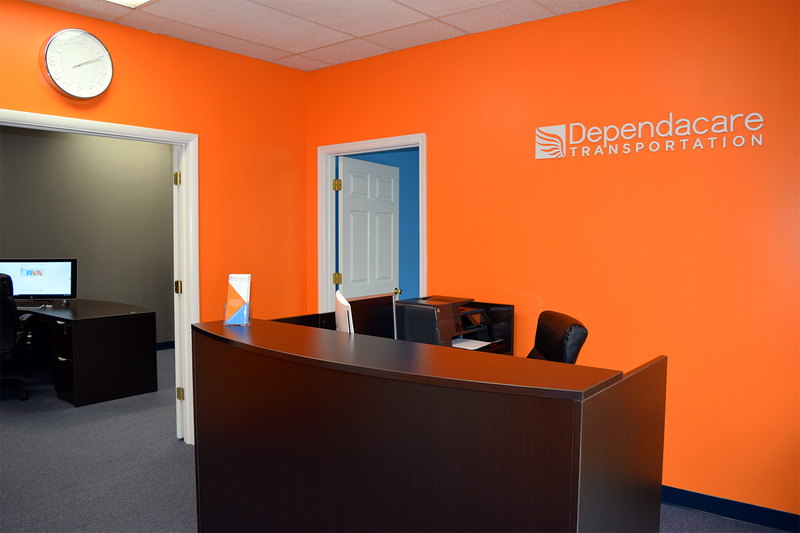 Out of a dream to become an entrepreneur, Dependacare Transportation was born. The logo was handcrafted in-house, there were a lot of late nights spent planning, making phone calls, completing paperwork - but the hard work finally paid off, the rubber met the road and we haven't looked in the rearview mirror since! Since 2012, we've committed ourselves to providing high quality transportation services in the Greater Richmond Region. The company was built with grit from the ground-up and you'll find our employees have an unparalleled work ethic. We are driven by dedication and awareness of what our customers want. We transport people – people that have stories they want to share, people facing challenges that want compassion, people that want a person to transport them. We take pride in our professionalism, reliability and the care with which we conduct our business. All values that allow us to make connections with our customers. We enjoy giving a mother comfort knowing her son gets to work on time every day, providing a foster family the peace of mind that their child gets to school with a smile on his face, that a daughter can easily set up an appointment with us to send her mother somewhere to get pampered for the day – and our trip is all part of that experience. We’ve built our business around people and with the purpose of providing a transportation service where our customers have the opportunity to connect to another person. We're local - we live and work in the community we serve. Looking for local food or festival recommendations? Just ask! We know all the best spots in Richmond and have a way to get you there. We hope you’ll enjoy using our services as much as we enjoy reaping the reward of knowing the difference we make in the lives of those we transport.